​​ ​LANCASTER – An e-commerce facility for online furniture retailer, Wayfair, is underway. The project will bring nearly 875,000 sf of distribution space. 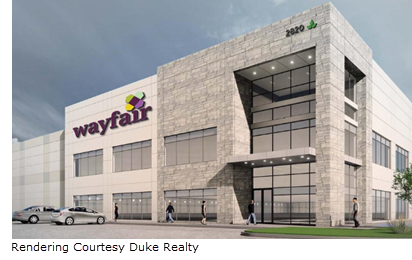 The new hub near I-35 and I-20 will help Wayfair up its furniture-selling game in DFW. The new facility will include more than 14,000 sf of office space for Wayfair's regional operations.